Have you ever wished you could enjoy your tea with a cat by your side? Or nibble on some pastries while an owl perches nearby? Well you're in luck because the latest dining trend taking the world by storm involves just that. Animal cafés are opening their doors all over the world, with the aim to help people reconnect with creature comforts of a domestic – and not so domestic – kind. 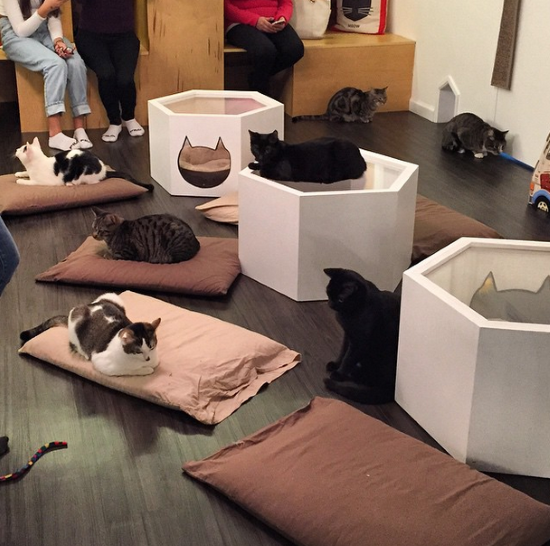 Honoured with the title of New York’s first ever cat café, the minimally-designed Meow Parlour allows its customers to rent a space to interact with a whole clowder of free-roaming felines. The café part of Meow Parlour is located around the corner at the Meow Parlour Patisserie, where patrons order food to take into the ‘cat’ part of the café. Most notably, all of the café's cats are fostered from a rescue centre and anyone who becomes attached to a certain kitty can start the process of adopting their new furry friend. There is also free Wi-Fi. Bonus. Although now sadly finished, Soho became the epicentre of poultry enthusiasm when a pop-up owl café opened over March and April. In-between meals, this owl café allowed its pre-registered guests to handle the tiny predators (with a professional handler) and admire them. 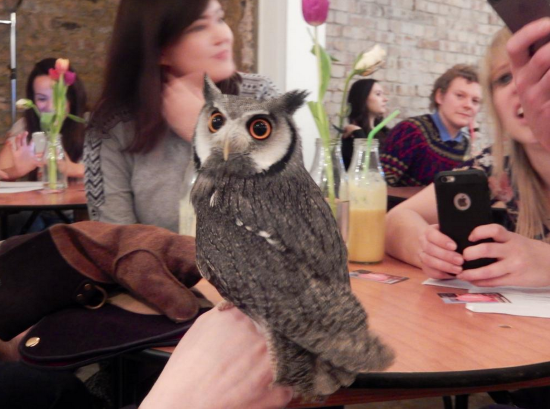 The pop-up event was organised to educate Londoners and raise awareness about the existence of the owl, which is facing habitual problems across the UK due to urbanisation. 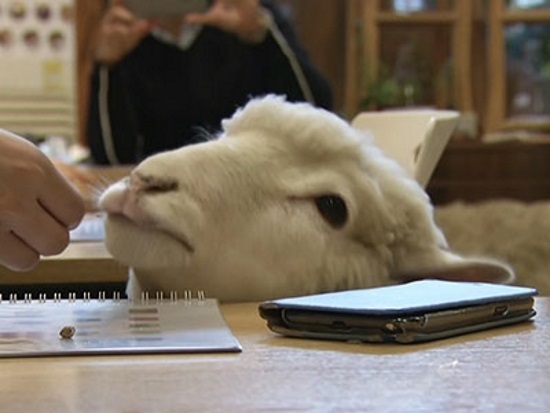 While we’re on the topic of farm-based animals, another peculiar choice for an animal café is the Nature Café in Seoul, South Korea which specialises in… sheep? The café is home to two resident sheep who stroll in-between the wooden tables scavanaging for food from sympathetic customers. The sheep café has been open since 2011, but has become extremely popular since this February, as 2015 marks the year of the sheep. If you’re after a more domestic experience in South Korea, the dog-lovers haven, Bau House Dog Café, makes for a fun-filled evening. This open-plan café is filled with its own canines, as well as visitors' mutts, who use the café to socialise their pooches. But don’t worry, you can pet all of them, big, small, fluffy, or short-haired. Entry is free but you are expected to buy at least one drink. If you want to feed the dogs, you can buy a bag of dog treats. Whenever it comes to animal attractions, those absent of fur and charming personality usually fail to get a look in. 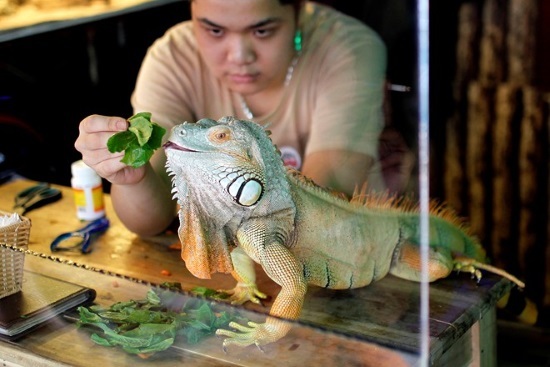 However, the Pet Café in Vietnam invites more unusual guests to its table to fill that gap in the market. At this small diner in Hanoi, coffee drinkers can sip their lattes with lizards, snakes, rats, hedgehogs and yes, a tarantula. You won’t have to worry about seeing a giant spider in your pho though, as they’re all kept in their climate and habitat-controlled terrariums. Visitors are allowed to take the creatures out to hold and all of the animals are trained for six to eight months to become familiarised with being handled. Home to more animal cafés than any other city, Tokyo has been the first place to let rabbits loose amid the coffee and croissants – although, not literally. Kept in a separate room, called the ‘play area’, visitors must sterilise their hands before they enter a room filled with bunnies of every size and colour. Some rabbits are kept in comfortable cages, while two or three rabbits are left to run around your feet. You can cuddle, watch and even feed the rabbits (¥100) for 30 to 60 minutes, but with those cute little faces you’ll be back in no time.